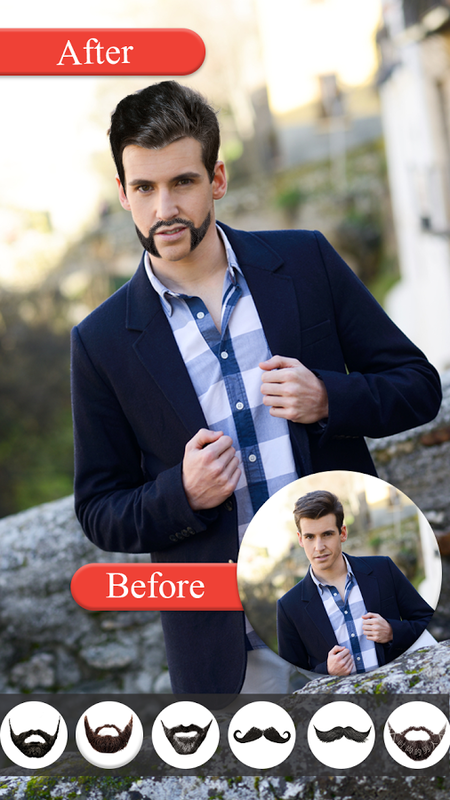 Mustache Photo Editor app comes with complete men makeover features that give you infinite ways to change your style by yourself. It is a unique face changer that allows you to modify the way you look, with hair changes and mustache feature options. Now change your beard styles in any photo that you love to edit and display a completely different look that can make people a fan of your looks. ⛄ It has a great collection of hair styles, mustache styles and beard styles for men. ⛄ Cut the hairstyle whenever you want without actually go through the cut in real. ⛄ It has different styles like short, medium, long hairstyles, stylish beards and stylish mustache and you can try anything that attracts you. ⛄ Cut the unwanted portions that you don’t want to keep. ⛄ The collection of 100+ sunglasses to complement your beard and mustache styles. ⛄ Mustache Photo Editor comes with the unique flip option to properly fit mustache and beard style into your face. ⛄ Get different hair Color if you have the special liking for Colored hair. ⛄ Different types of mustache styles, hair styles beard hairstyles to select the best look. ⛄ Face changer comes with different photo effects. ⛄ Advanced rotation and zooming option. ⛄ Share your stylist and modern mustache and beard style with your friends on social media. This is the best face changer app that can give them a complete face makeover that men always wanted. Apply lot of effects, filters, different types of mustache shape, beard styles and hair styles or hair styler that look best and give more appealing look. Face changer app lets you easily make funny image faces in photos. We all know that hair plays an important part in a man’s life, beard and men mustache adds manliness and royalty to their looks. For ever other man who is having a hard time with growing their natural beard, this app can be a time saver. Before going to the haircut, you must download this hairstyle app and add new look to your face. You can see which hair style looks perfect on you and get that hair styler or hair style changer done on you. Not just for hairstyles, if you have enough facial hair, try out different mustache and beard styles for men using this app, and get that look on you. Try the specially designed hair and mustache styles easily without going through any confusion or pressure as how it is going to look on you. You need to download mustache photo editor app now as it has everything that a guy has always been waiting for. You don’t need to feel bad because of less hair. 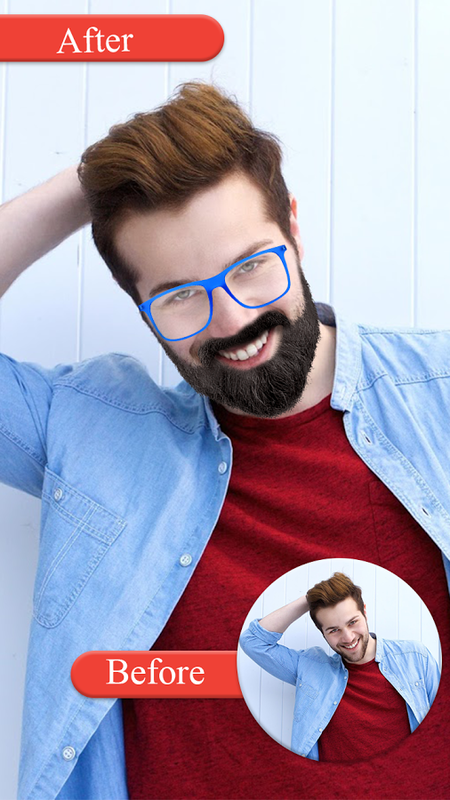 Using the mustache and beard app, you will have very smart and attractive look to your picture. 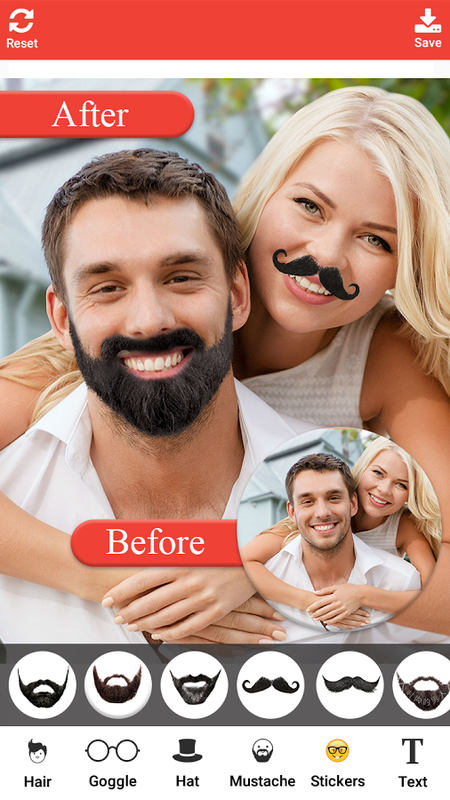 Except taking photos and making mustache Beard style men, Mustache Photo Editor is also a powerful photo retouching app. Built-in professional photo retouching function, beard styles for men, mysterious filters, face changer, fun sticker sets, hair styler, text adding, photo editing, mosaic, mustache styles, professional editing and so on.